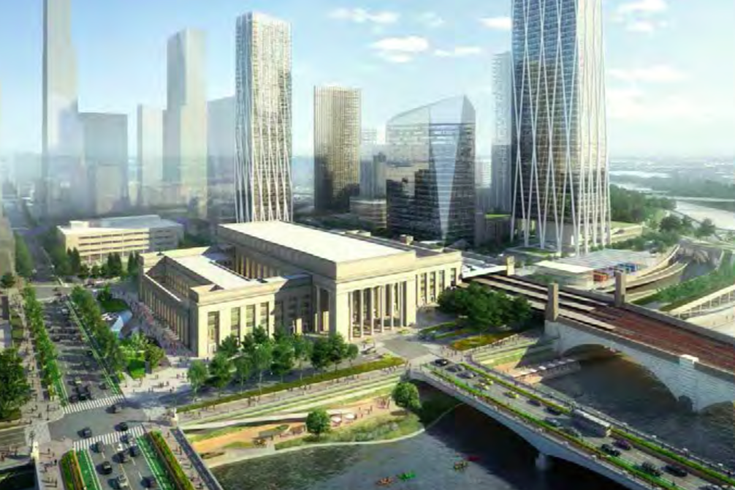 30th Street Station as envisioned by the final district plan. Thirtieth Street Station as we know it will undergo a transformational renovation in the coming decades, bringing a raft of new amenities and neighborhood improvements outlined Thursday in a final plan presented by SEPTA, Amtrak, PennDOT, Drexel University, and Brandywine Realty Trust. 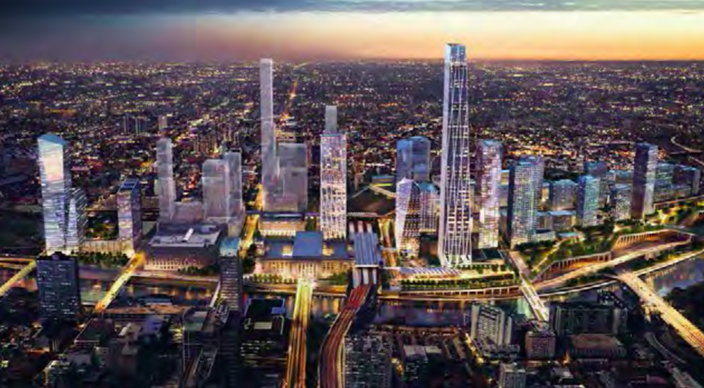 First introduced in March, the Philadelphia 30th Street District Plan encompasses an ambitious development framework that will leverage the station's vital role in regional transportation and augment the surrounding area's status as a connected destination in west Center City. After a series of five open houses, partners in the initiative together released a report with a multi-decade timeline of projects amounting to $2 billion in public investment and $8 billion in private investment. That includes the $3.5 billion Schuylkill Yards partnership between Drexel University and Brandywine Realty Trust announced earlier this year. Overall aerial projection of Center City Philadelphia. This is a comprehensive, ambitious set of objectives that will go a long way toward defining Philadelphia's cityscape for the balance of the 21st century. 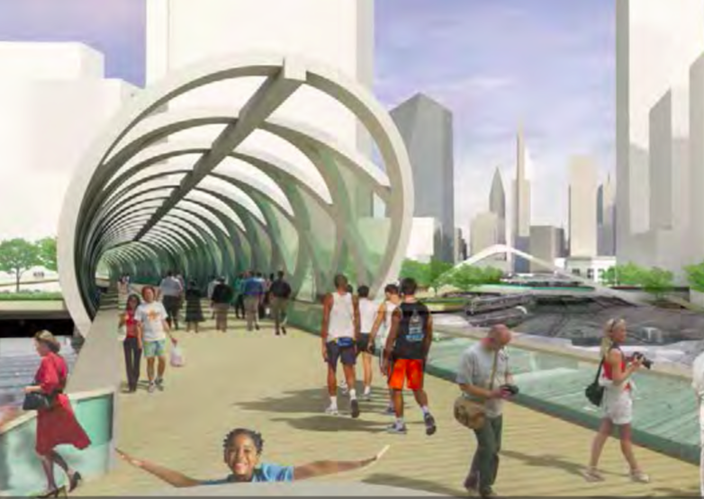 Highlights of the plan include an urban neighborhood built over the rail yards, a pedestrian bridge with promenades over the Schuylkill River into Fairmount park, a sky-lit concourse connecting the station to the Market-Frankford Line and trolleys, and the expansion and improvement of surrounding parks and neighborhoods. 2016-2020: Completion of Regional Rail East Mezzanine Access, a $5 million renovation that will increase passenger access and reduce congestion at the station. Early station plaza upgrades for public realm improvement. Pedestrian bicycle and bridge crossing at Arch Street. "Outside of early wins at and around the station," the report's authors write, "this Plan will require patient, multi-generational commitment to a new future, one built around a shared vision and updated periodically as circumstances change.". For a general overview and reaction to the plan from city leaders, you can check out the video below.